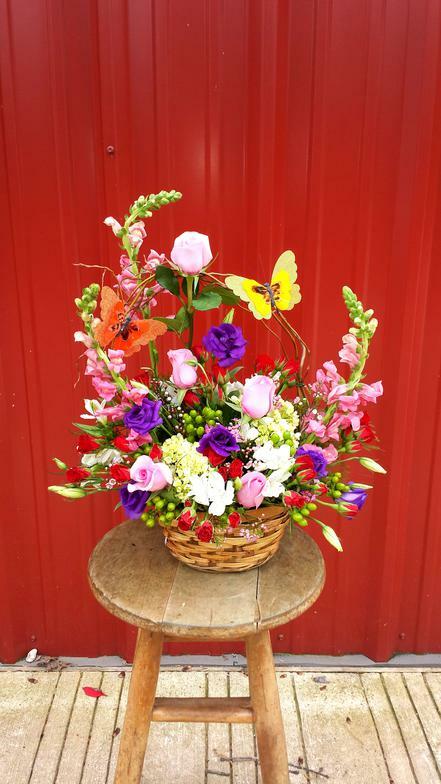 Millions of people all over the world send flowers for congratulations, birthdays, holidays, or simply to joy to their friends, relatives, or business partners. 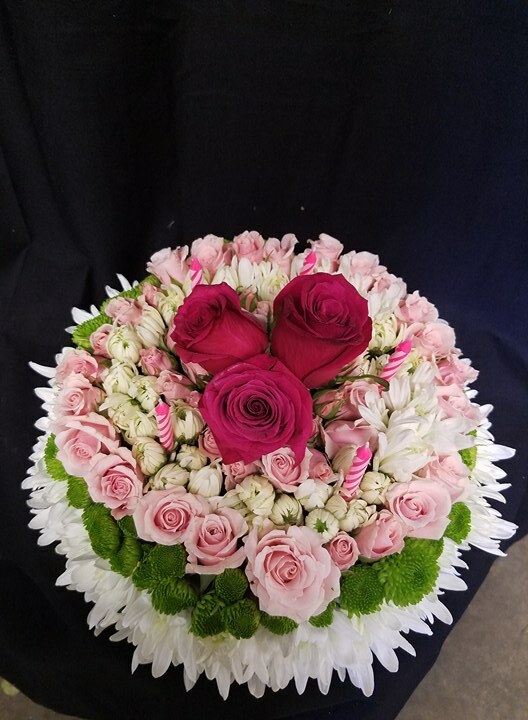 That’s exactly why we are here, to give you the opportunity to easily send flowers to the loved ones in our area, even though sometimes the distance prevents you from doing it personally. 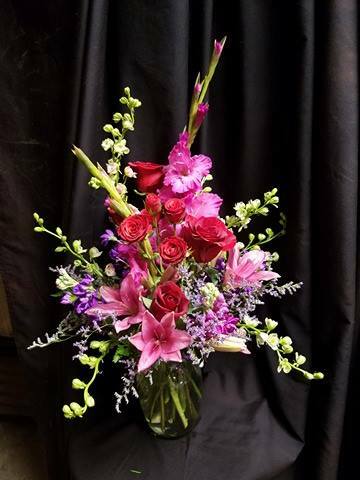 Click on our pictures below to look at some of our unique designs. 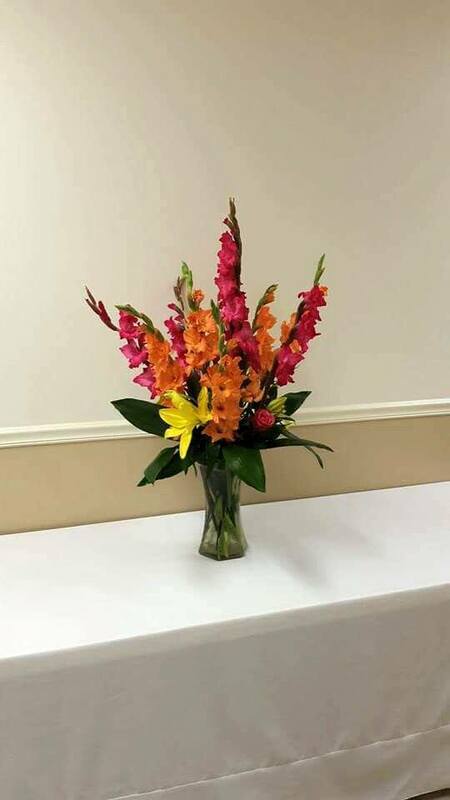 We are not your normal shop. 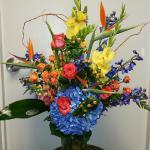 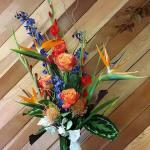 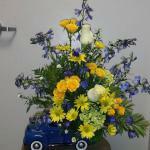 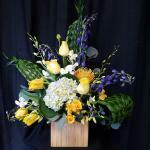 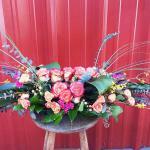 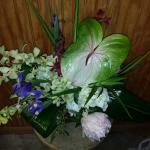 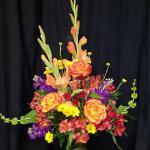 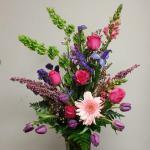 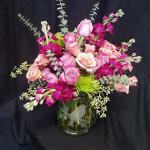 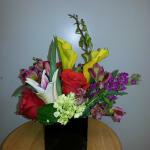 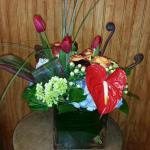 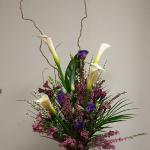 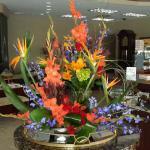 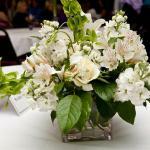 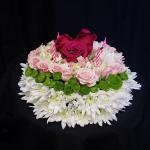 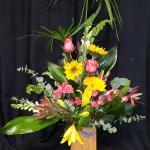 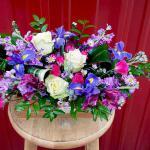 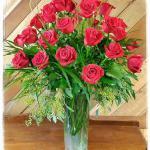 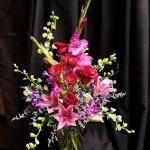 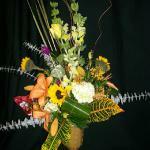 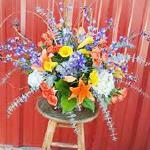 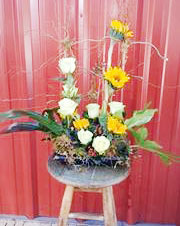 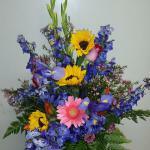 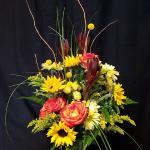 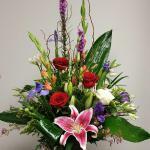 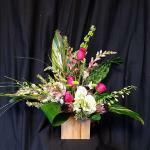 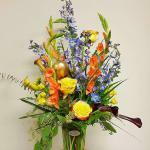 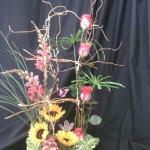 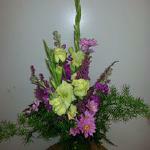 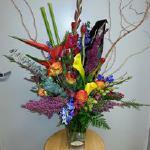 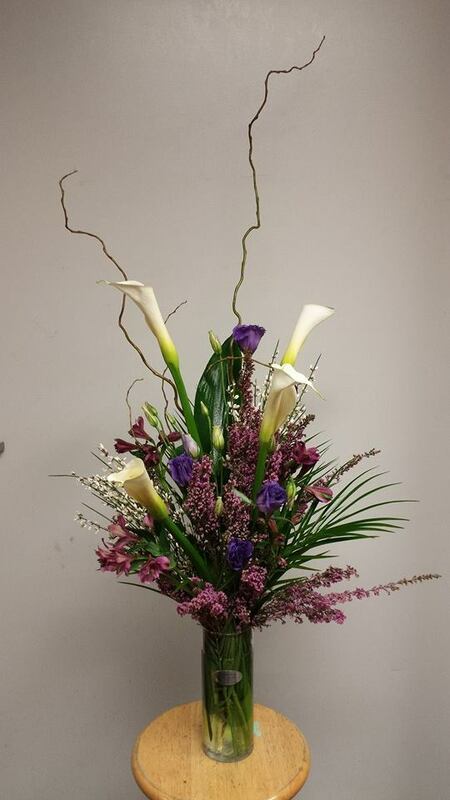 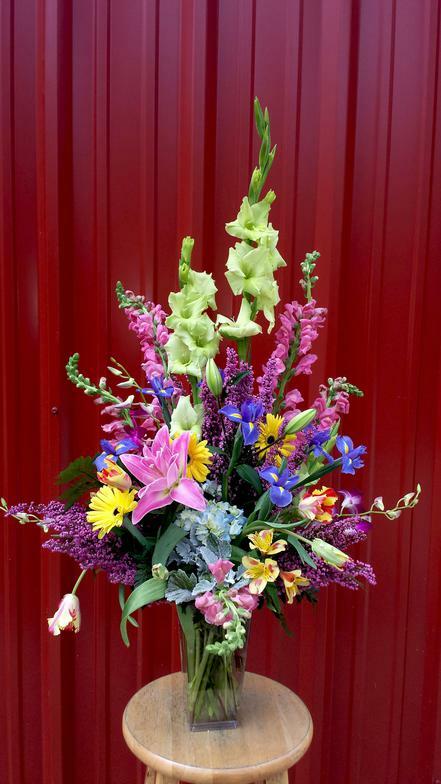 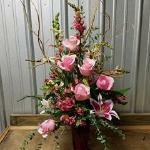 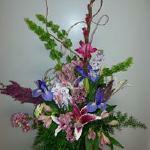 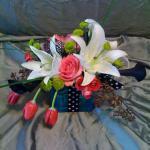 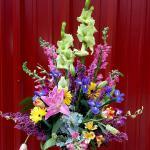 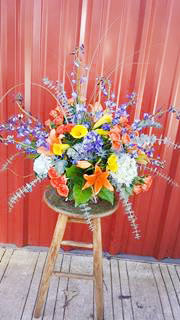 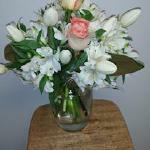 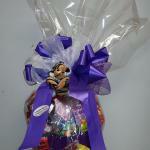 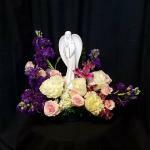 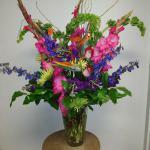 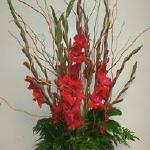 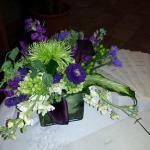 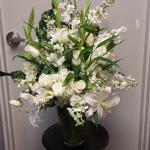 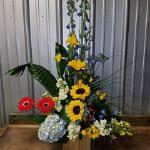 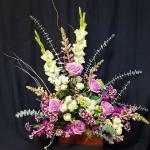 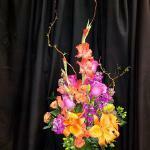 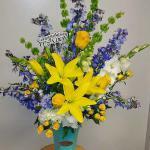 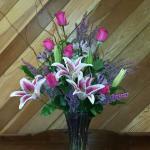 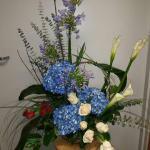 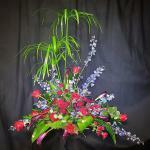 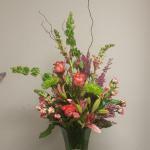 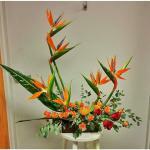 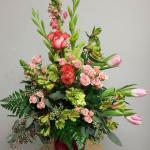 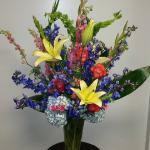 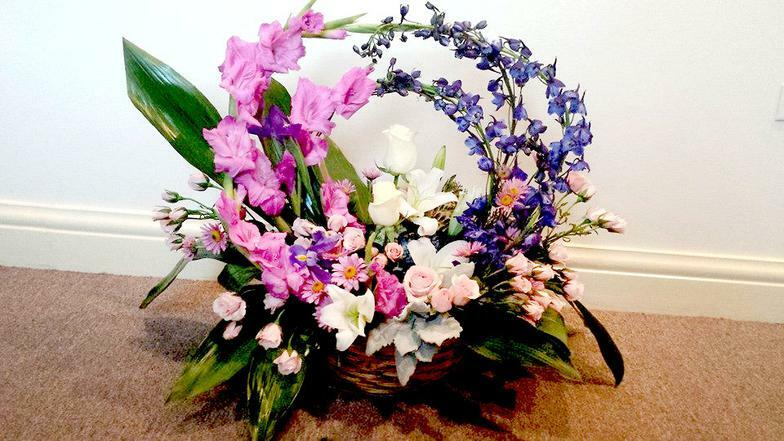 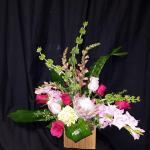 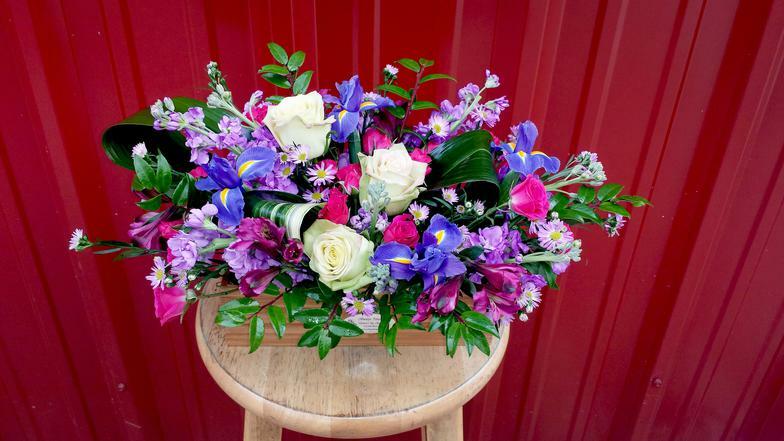 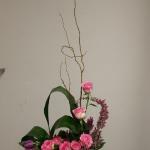 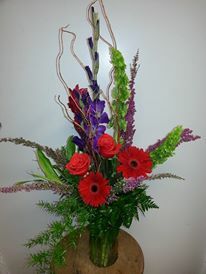 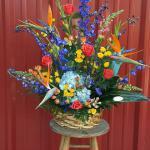 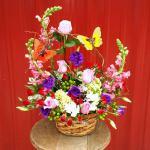 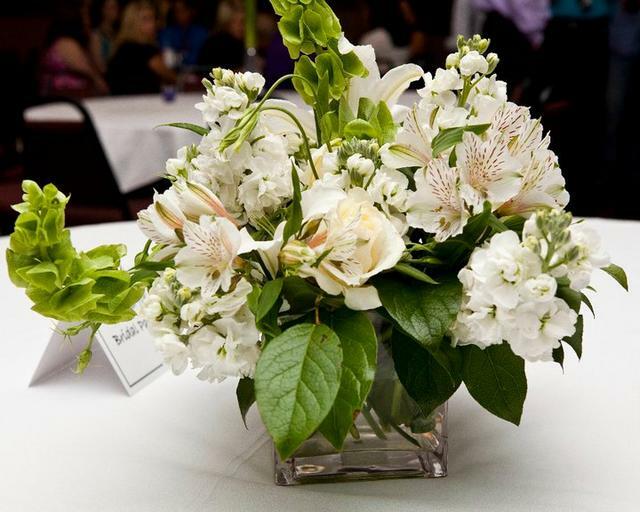 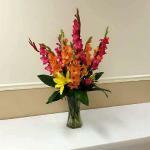 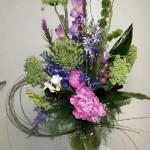 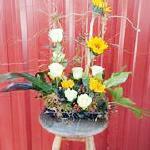 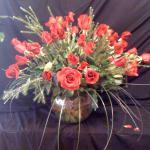 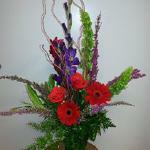 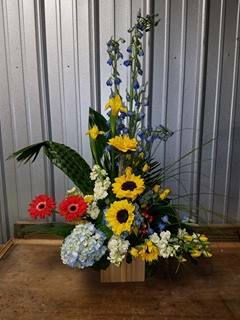 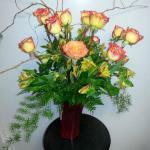 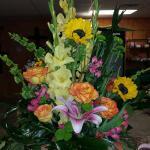 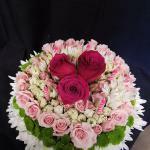 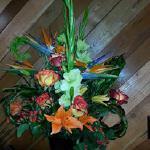 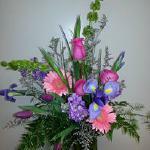 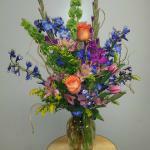 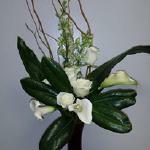 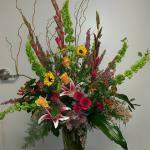 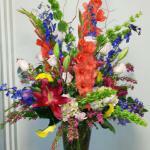 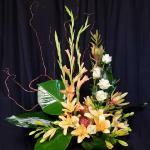 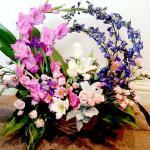 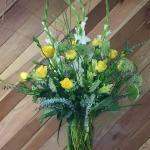 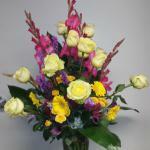 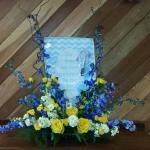 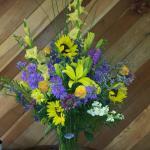 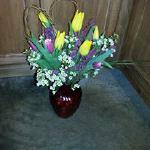 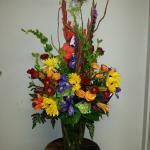 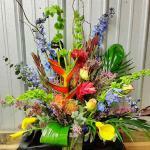 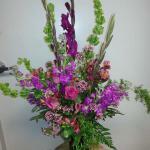 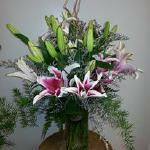 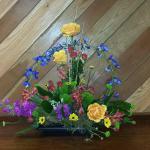 We offer a wide range of flowers and designs. 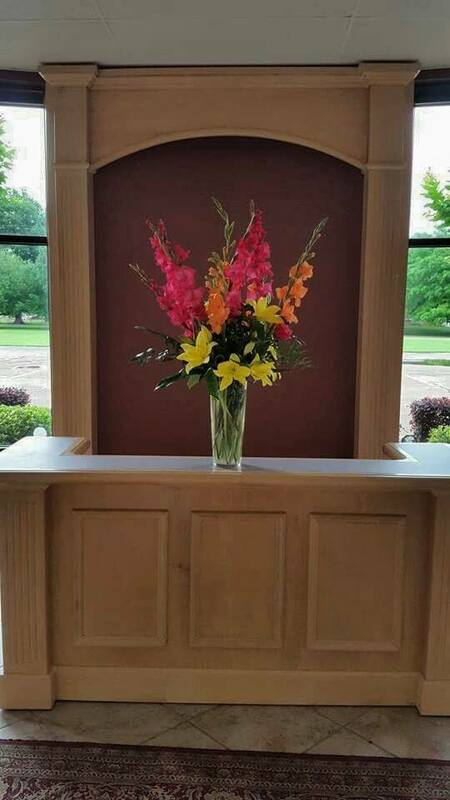 Don't see a picture below that is quite what you are looking for? 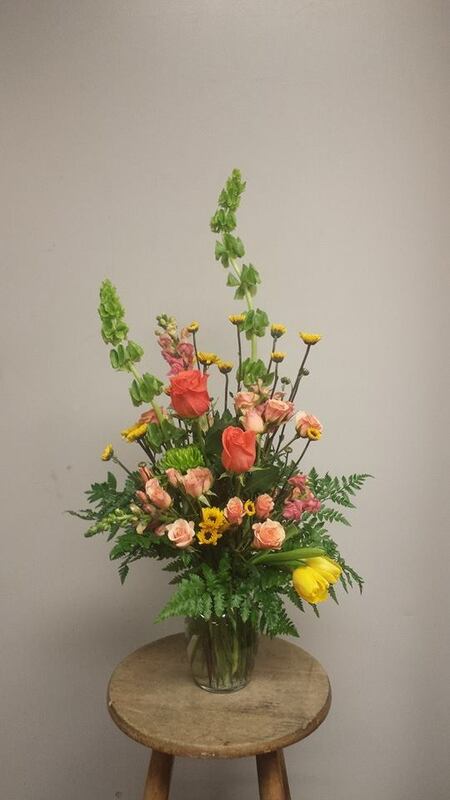 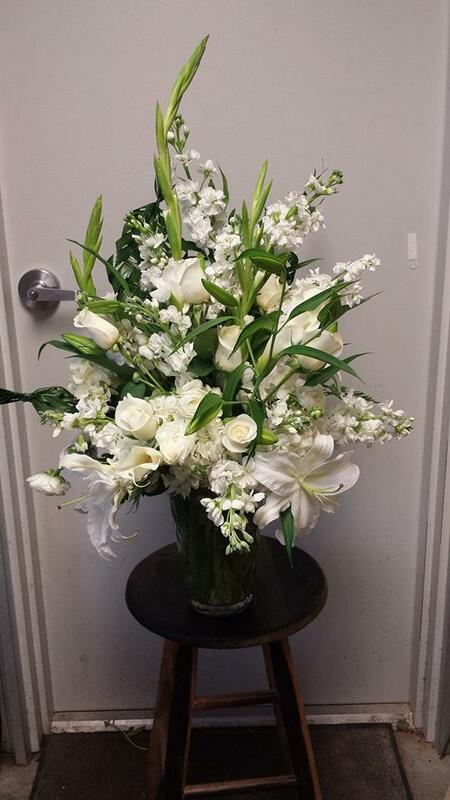 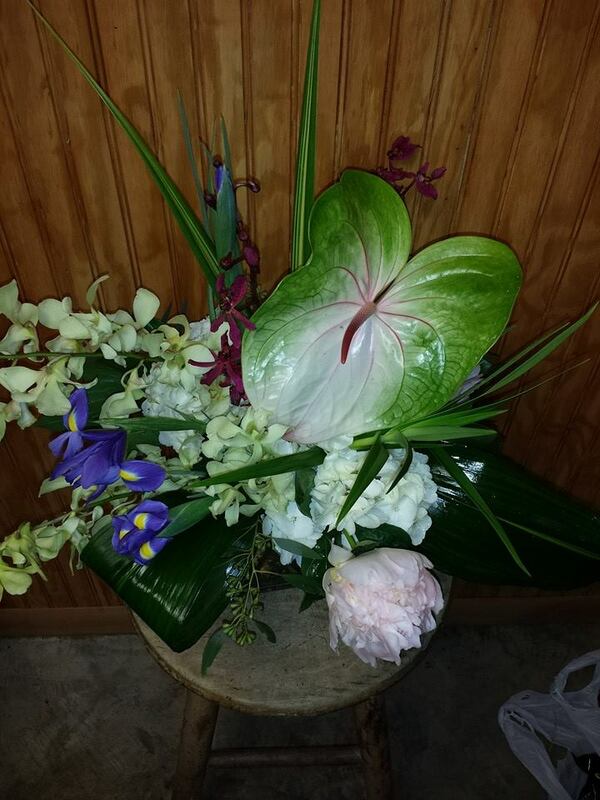 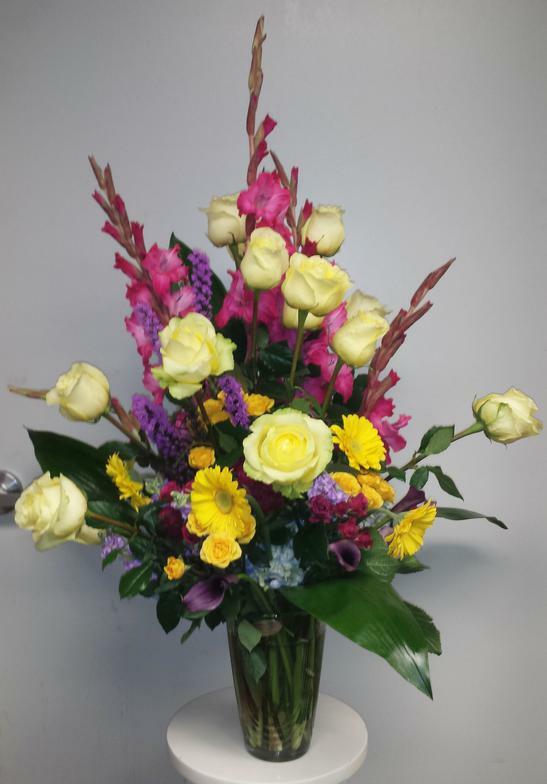 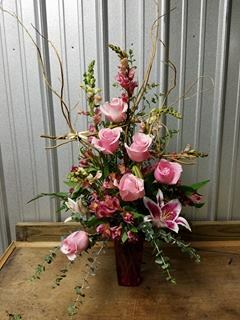 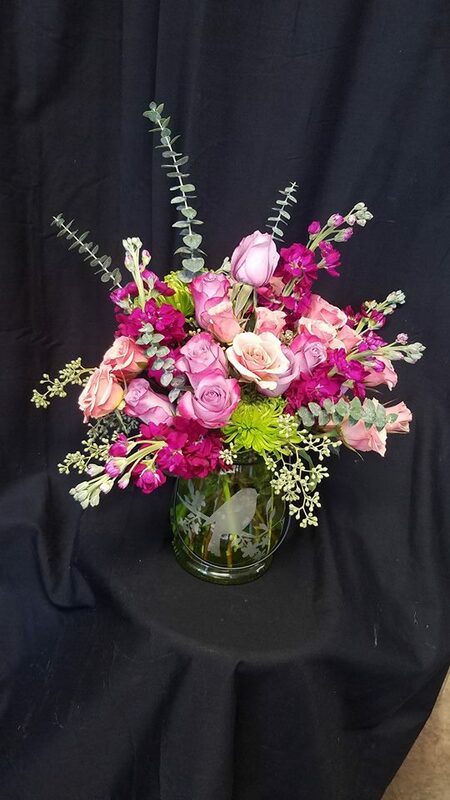 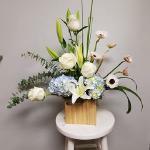 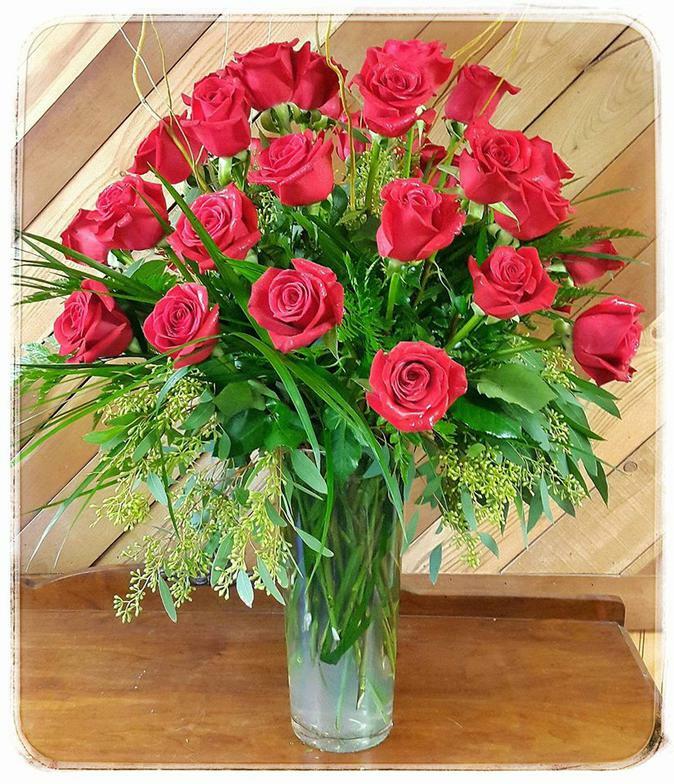 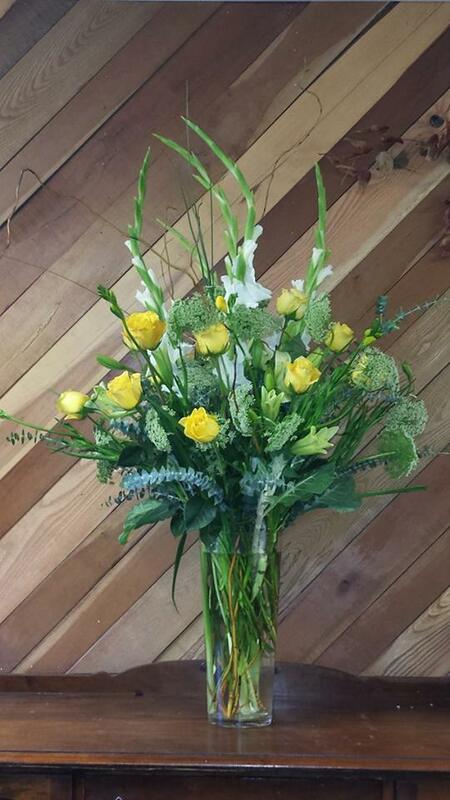 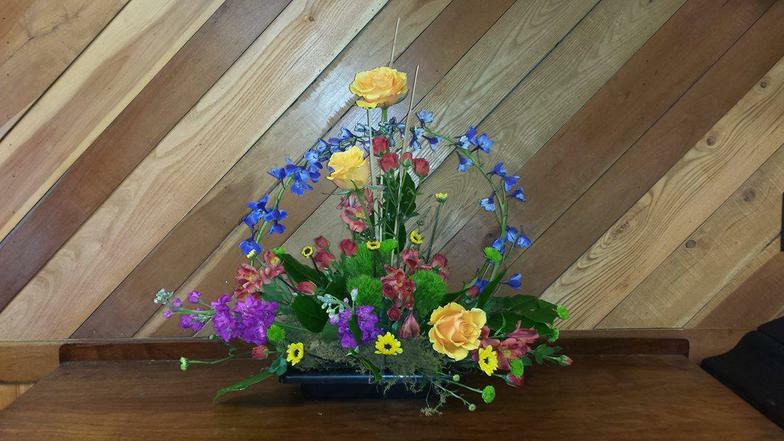 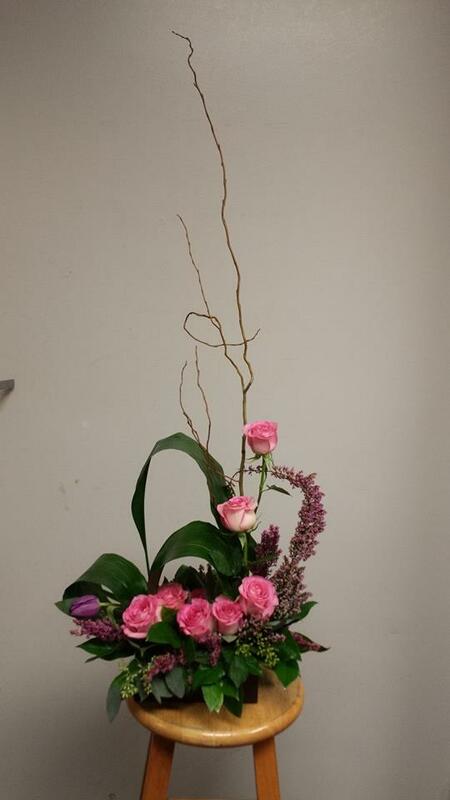 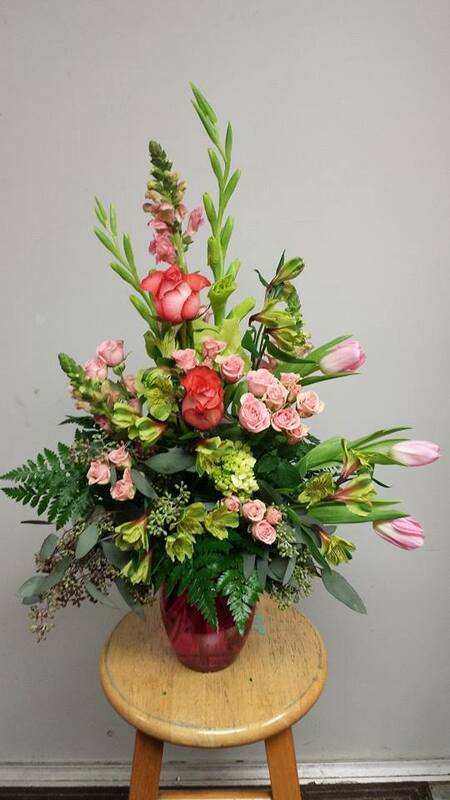 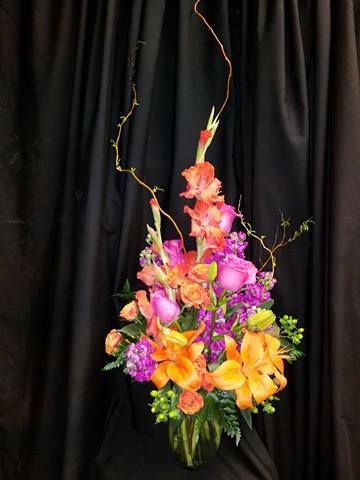 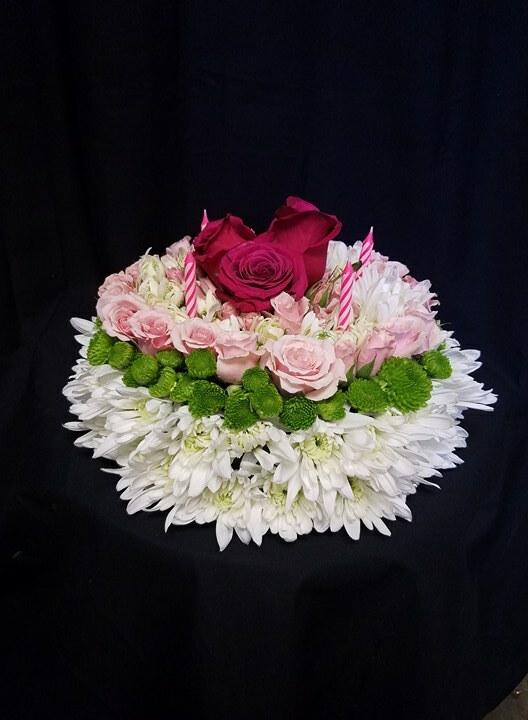 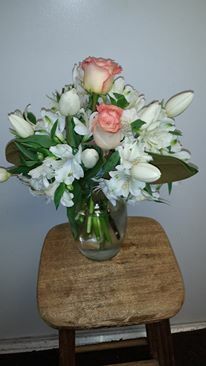 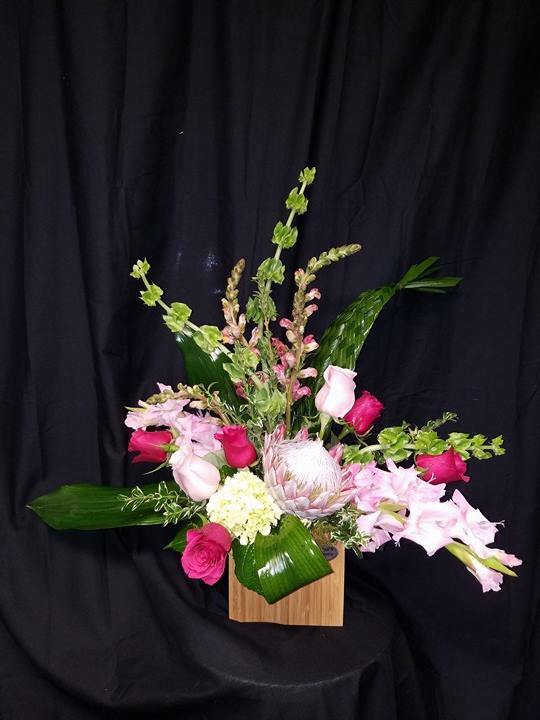 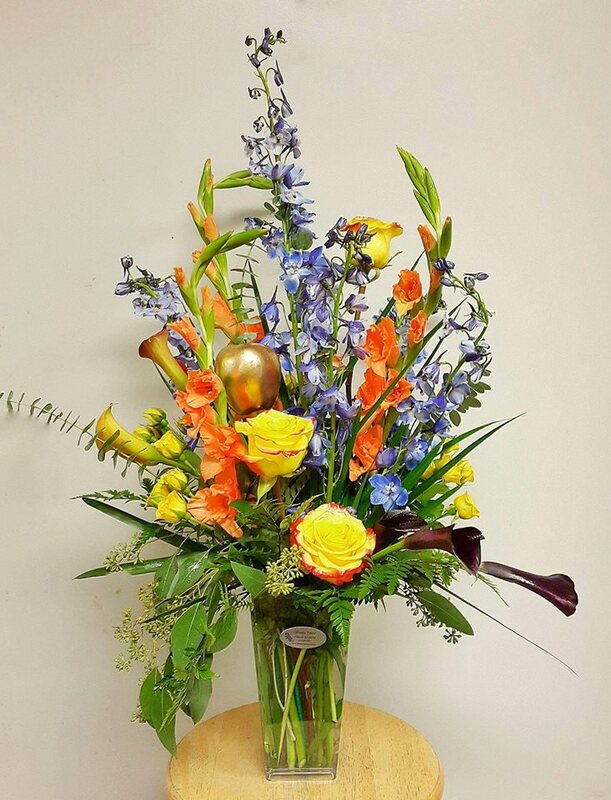 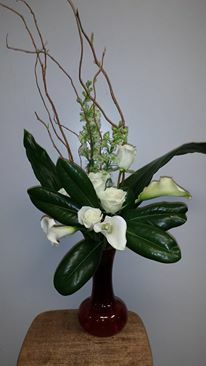 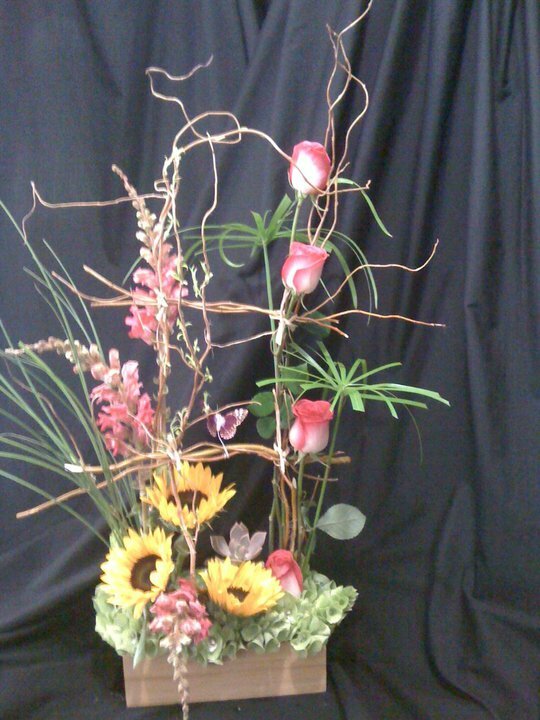 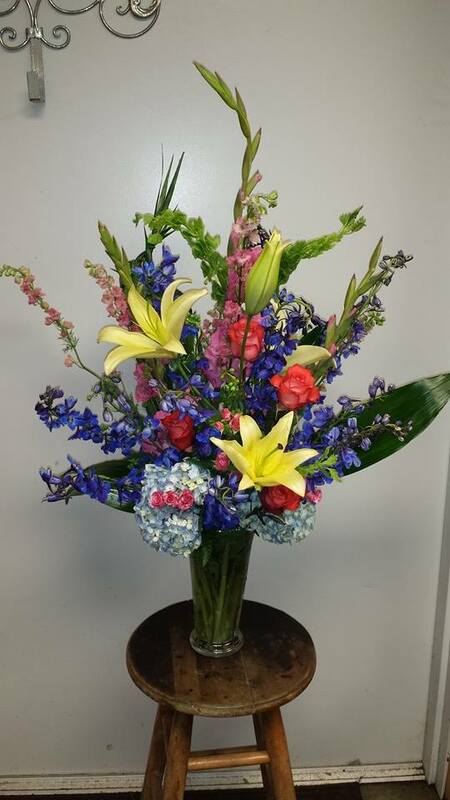 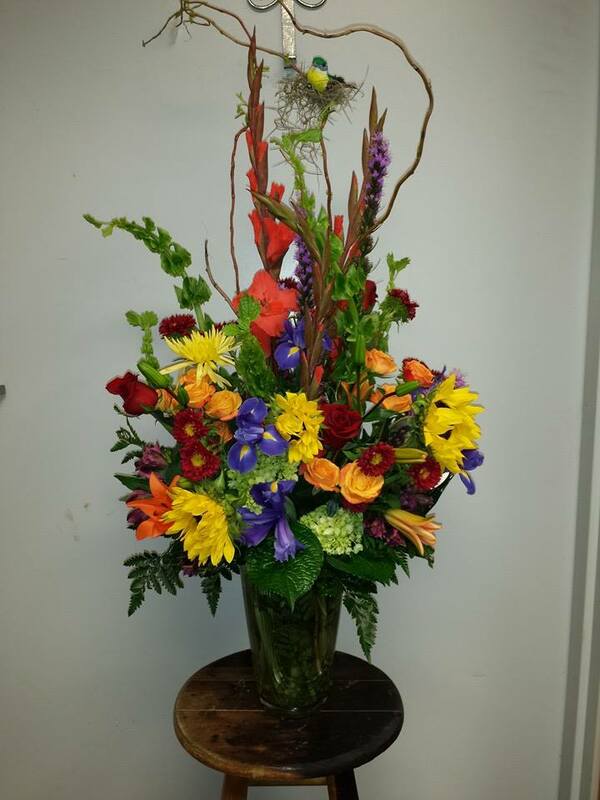 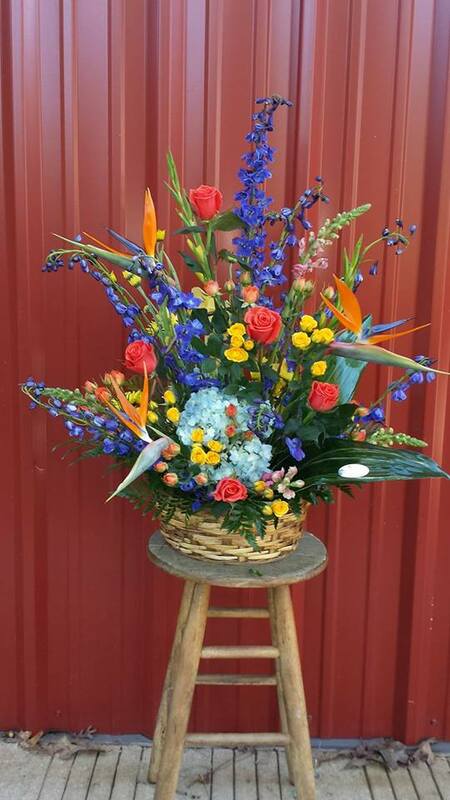 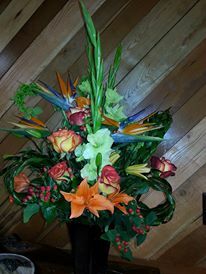 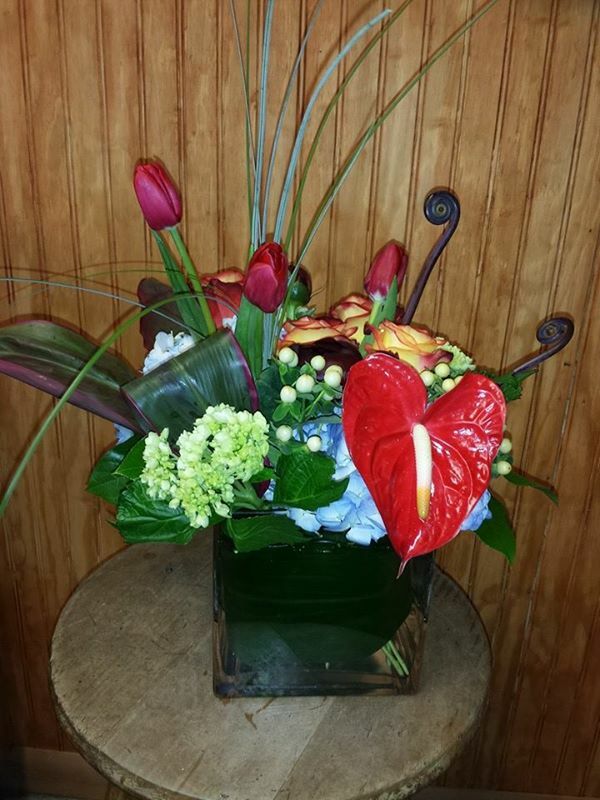 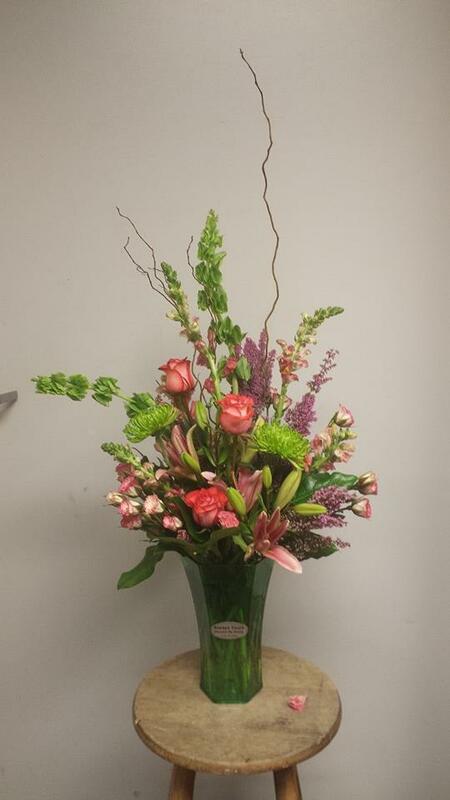 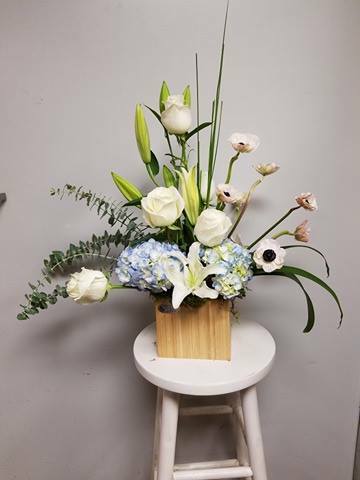 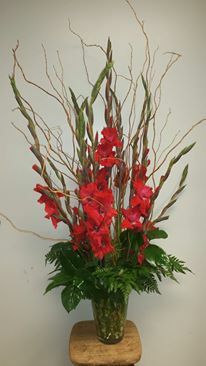 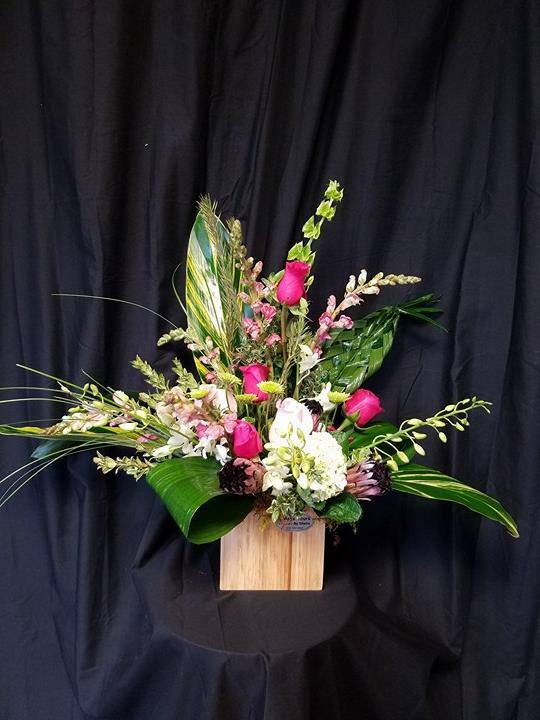 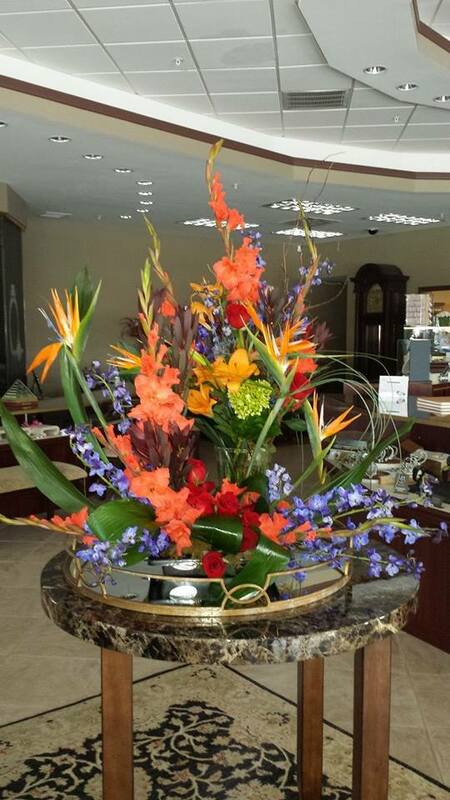 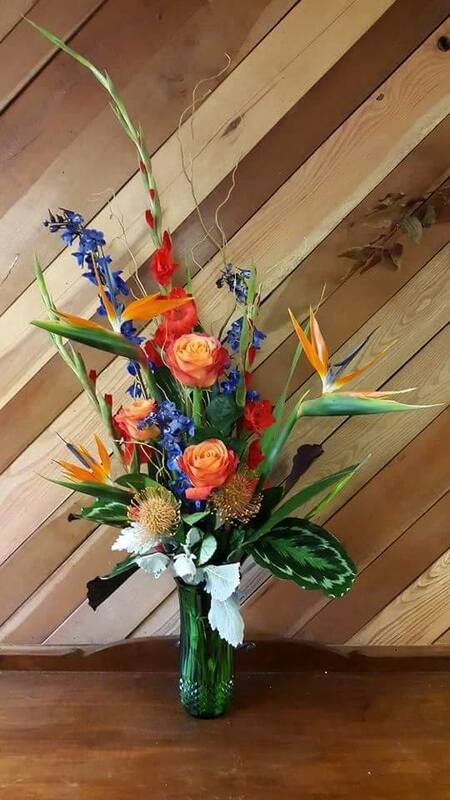 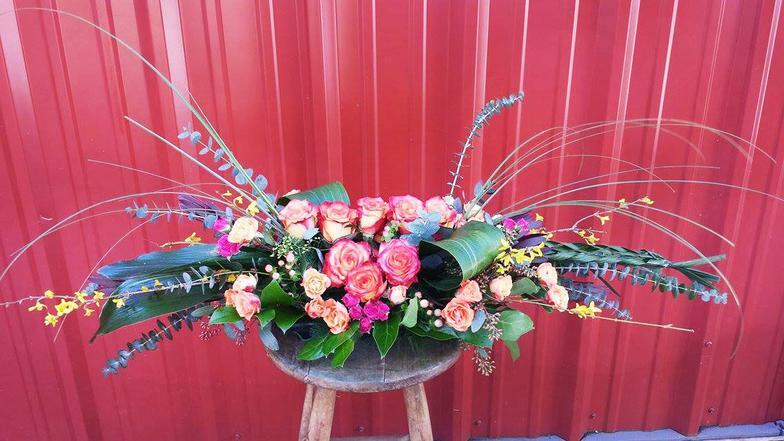 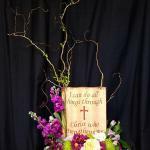 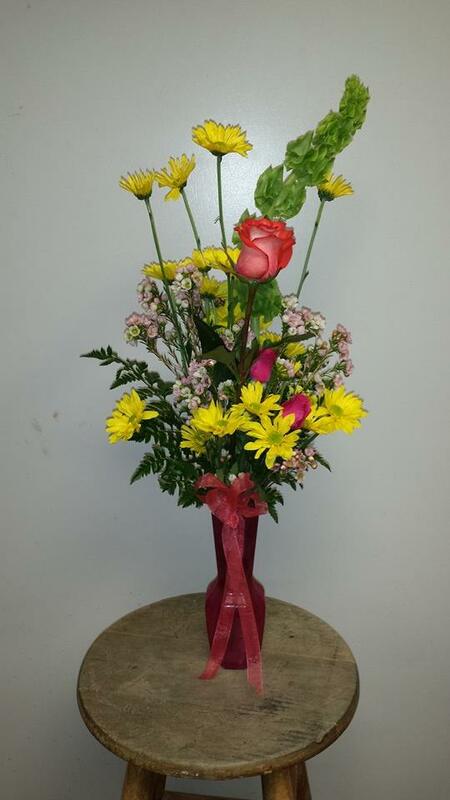 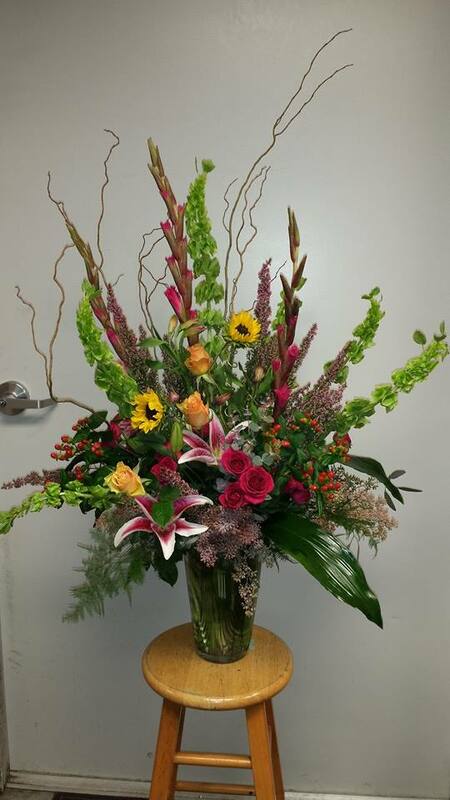 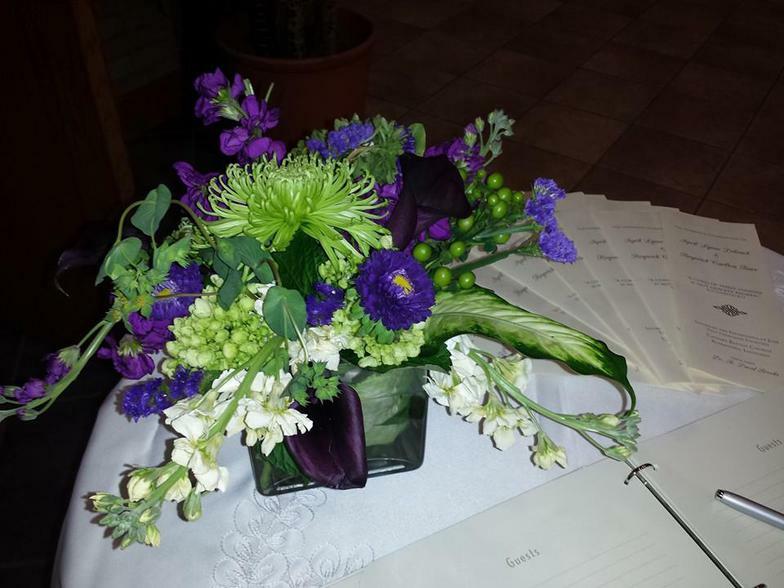 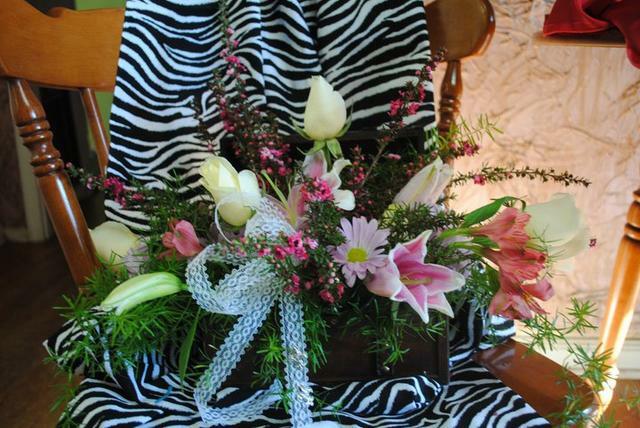 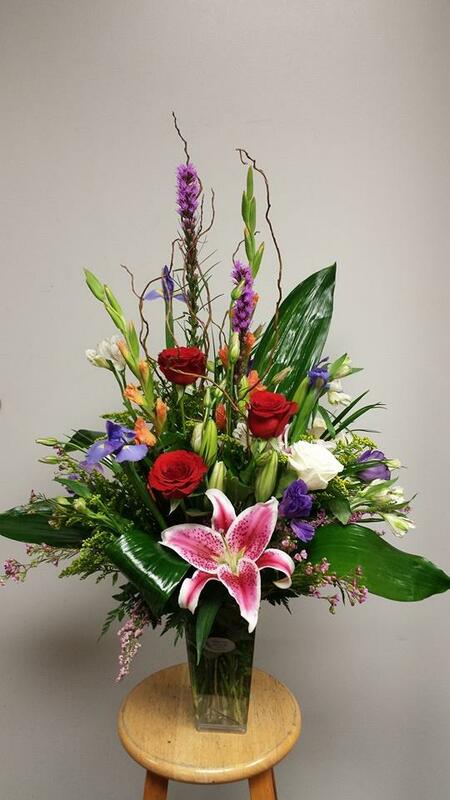 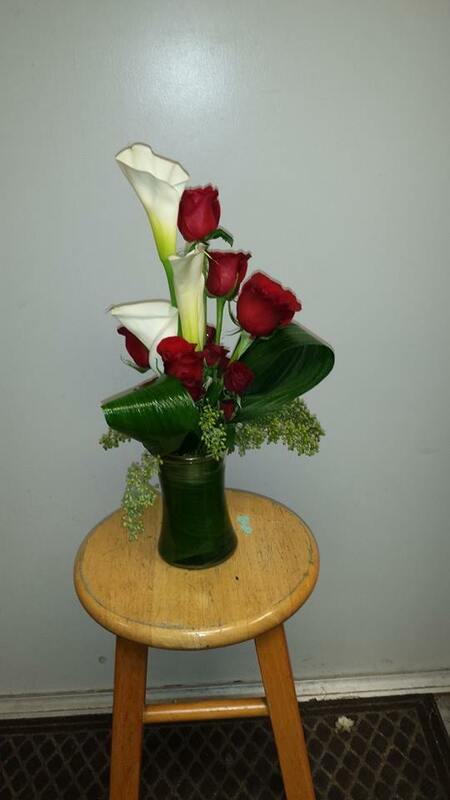 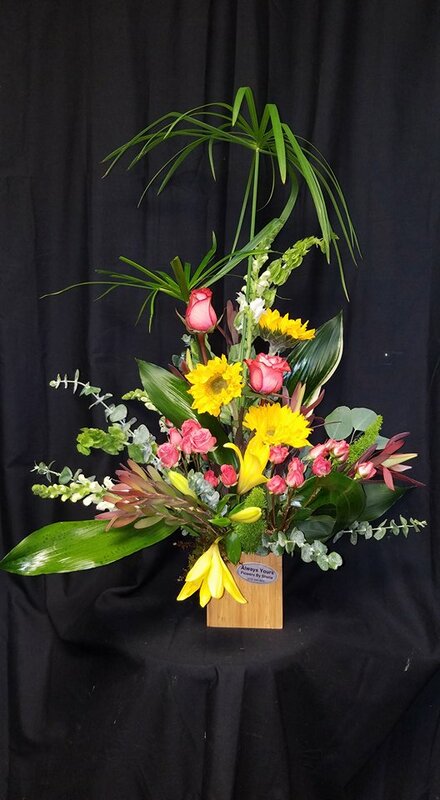 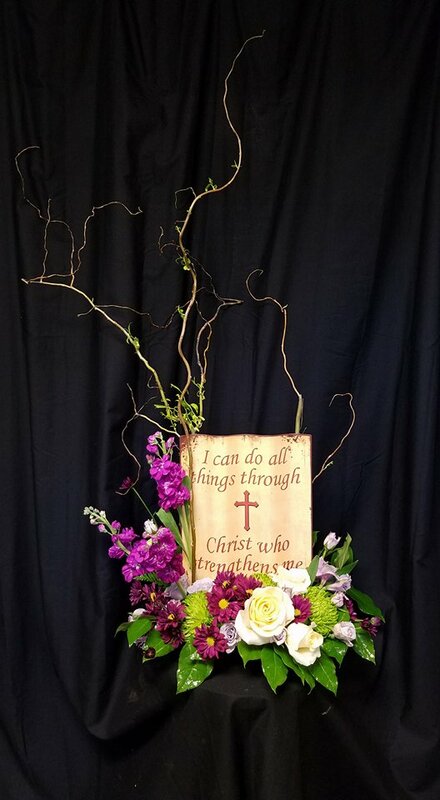 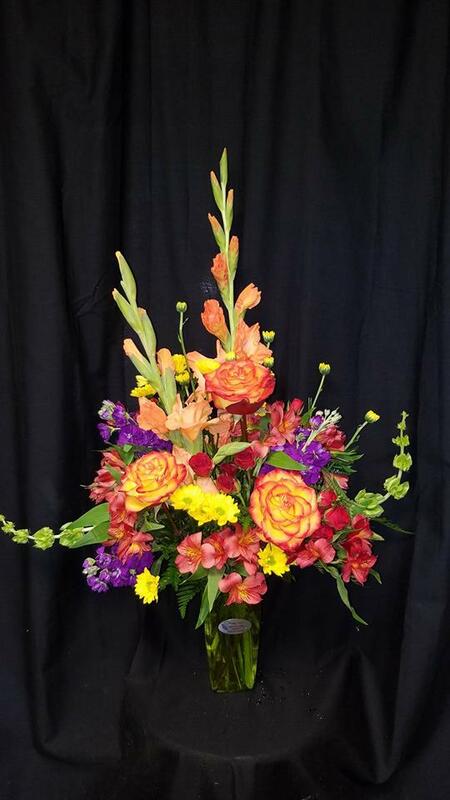 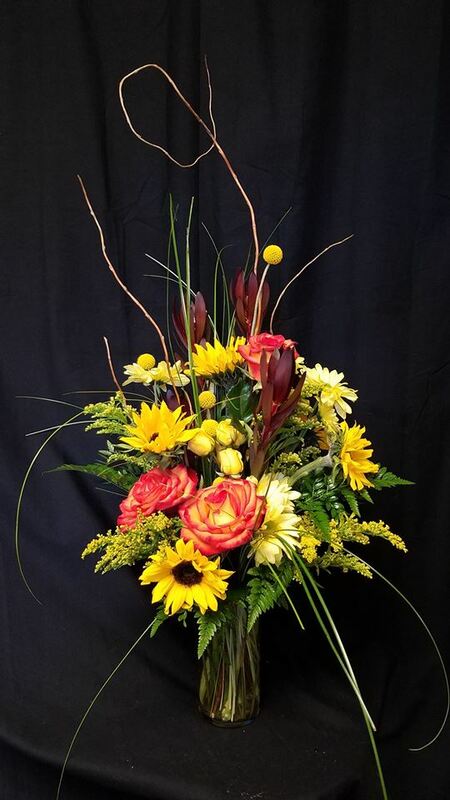 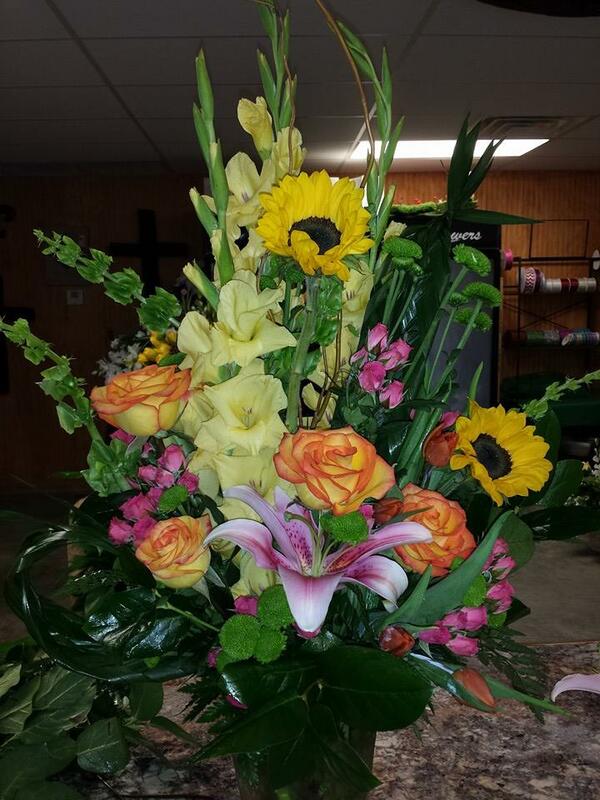 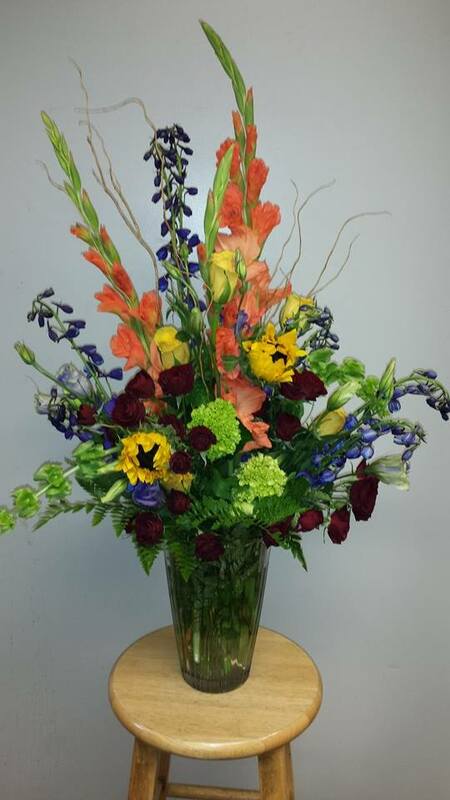 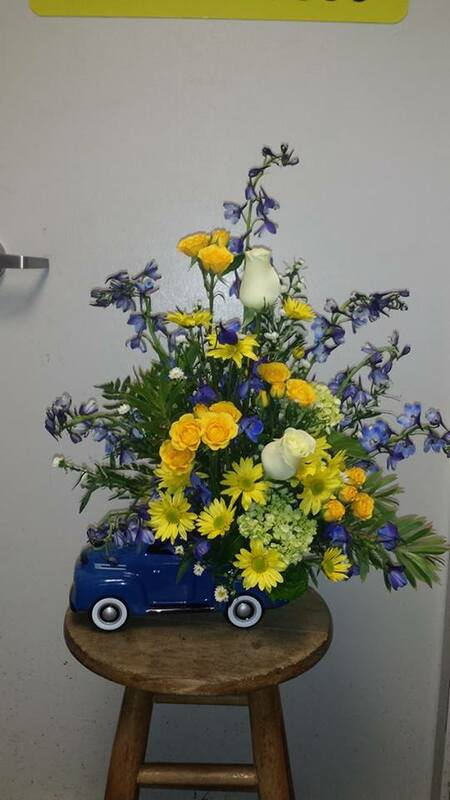 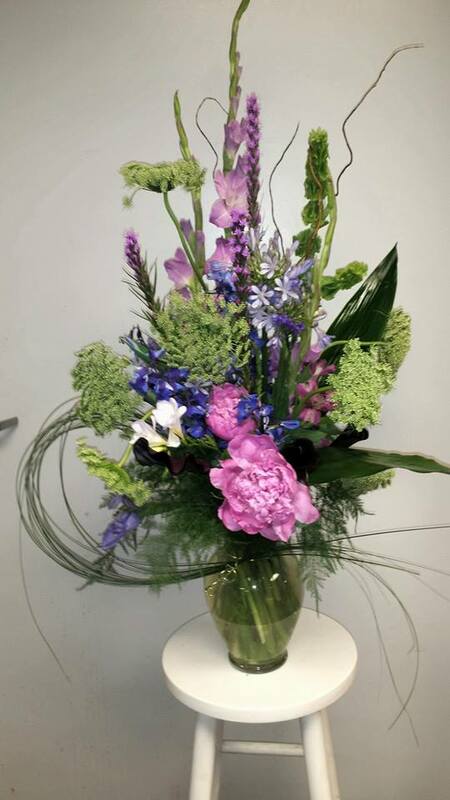 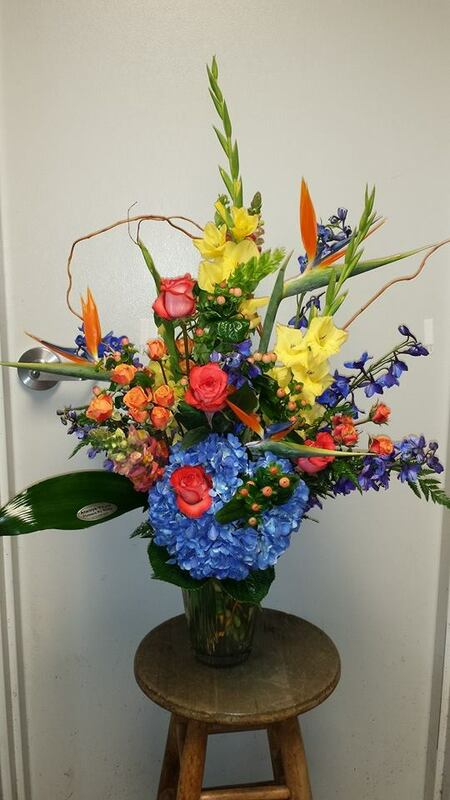 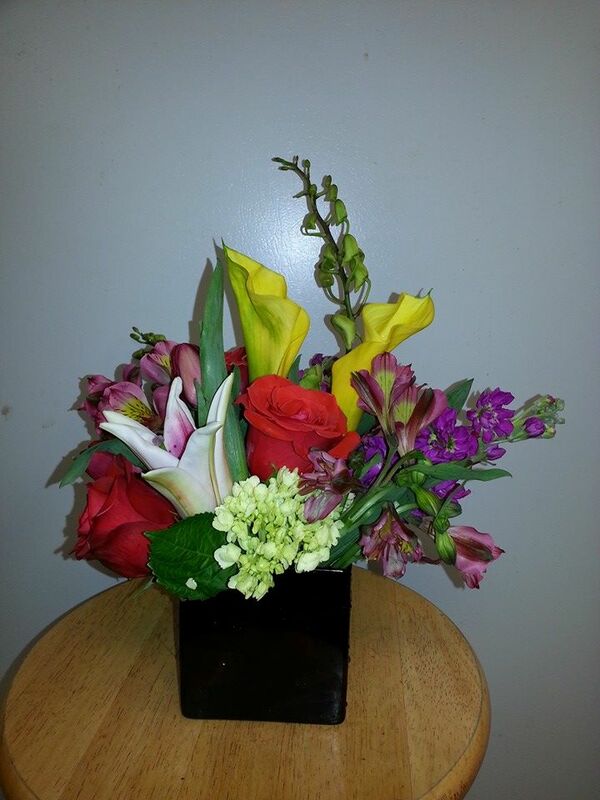 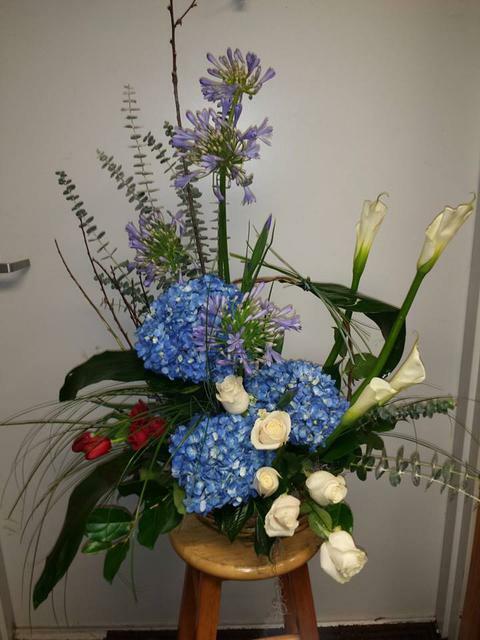 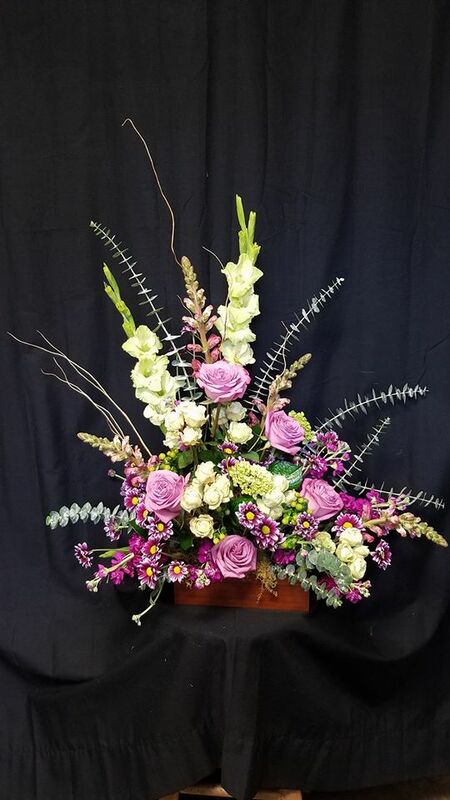 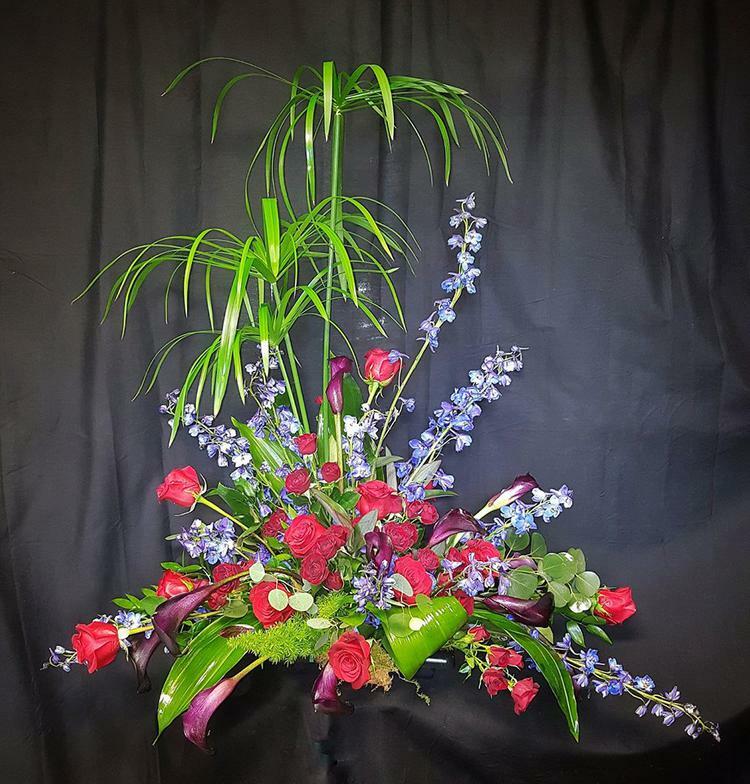 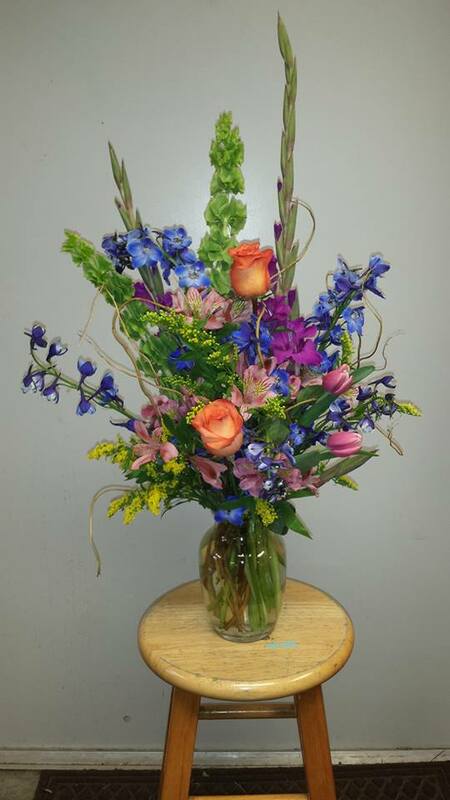 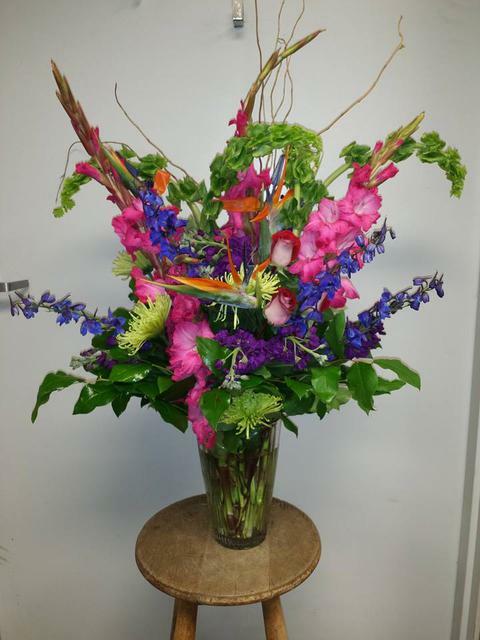 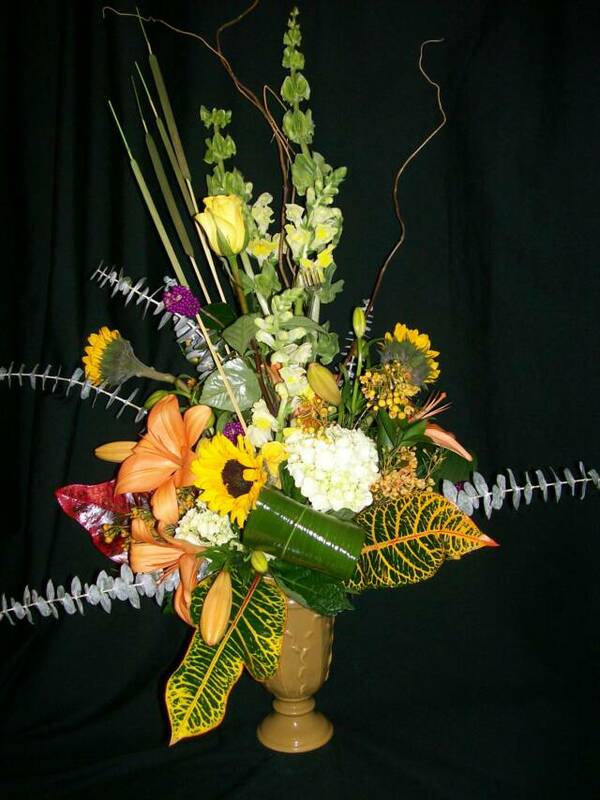 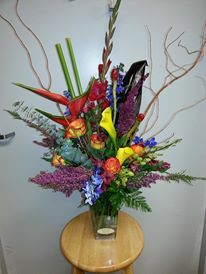 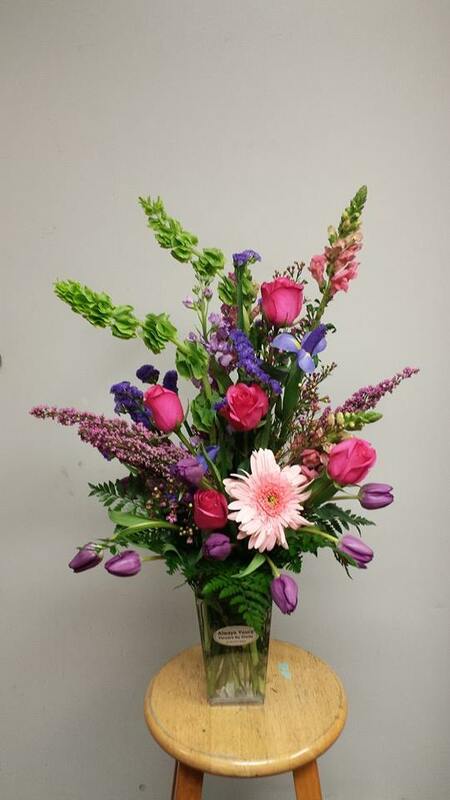 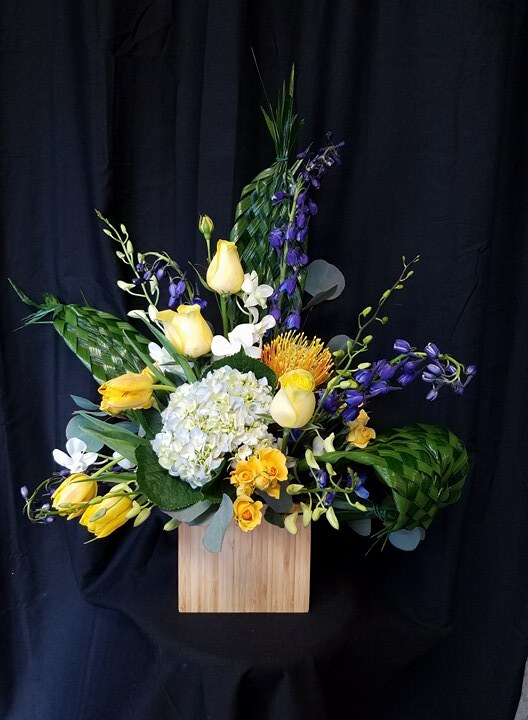 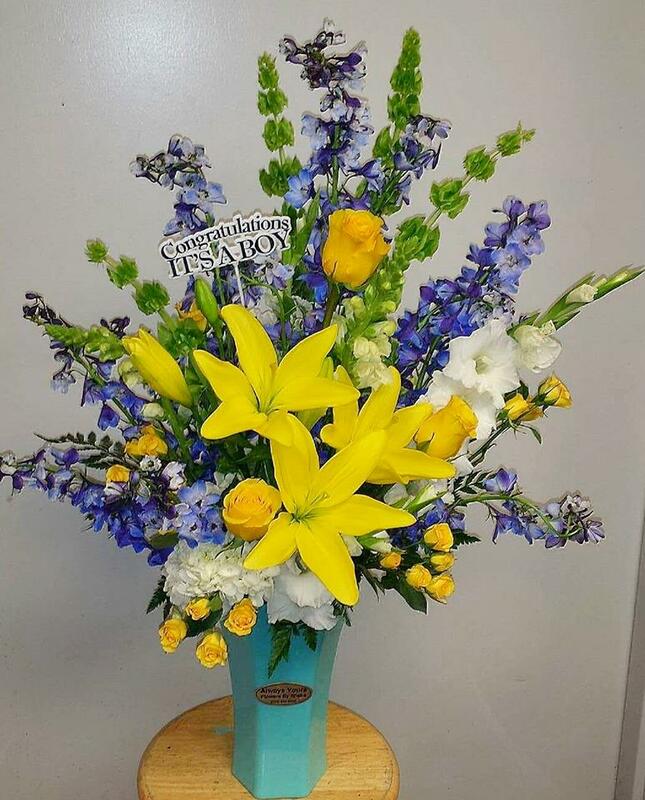 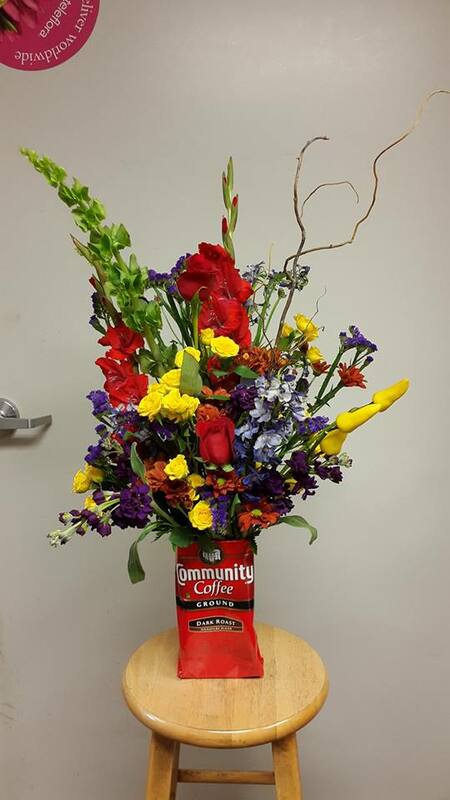 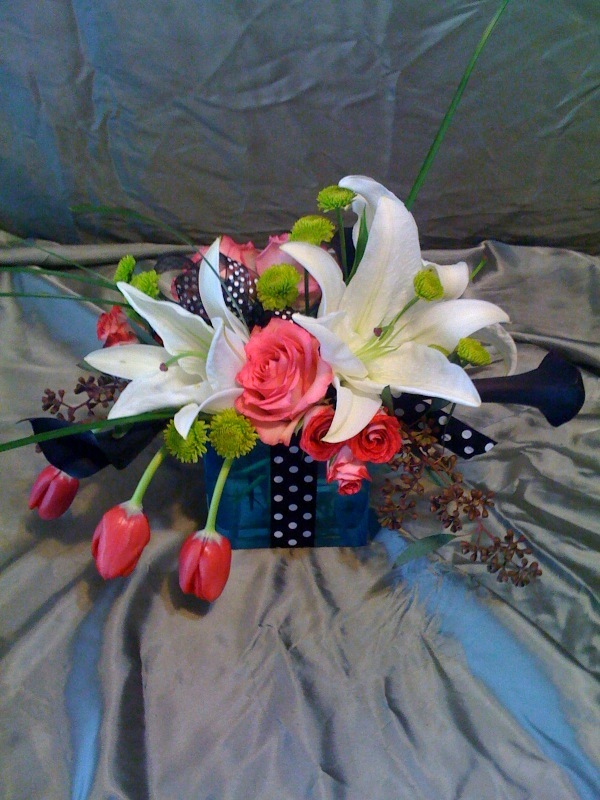 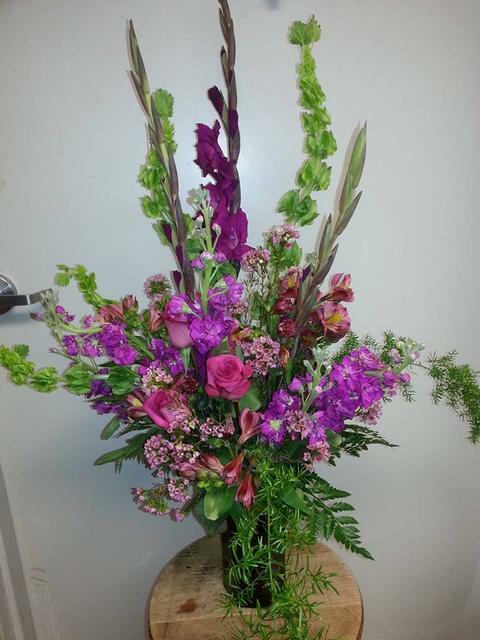 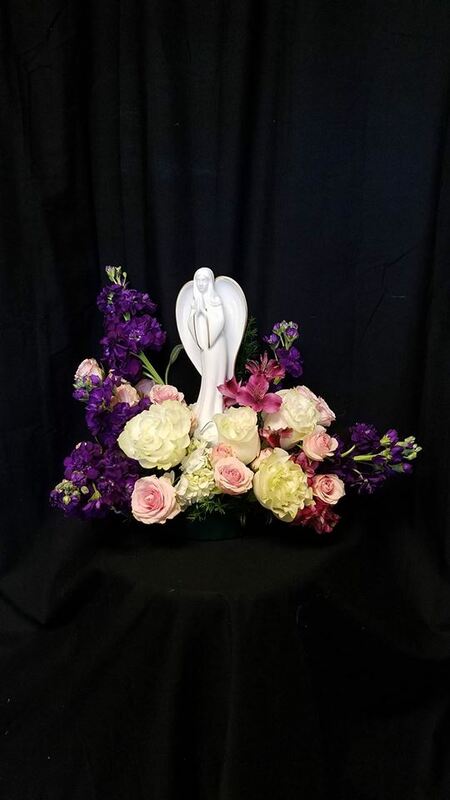 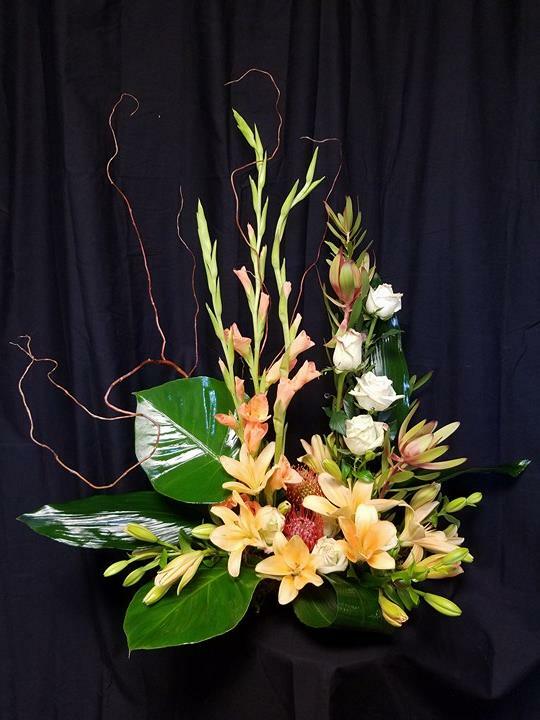 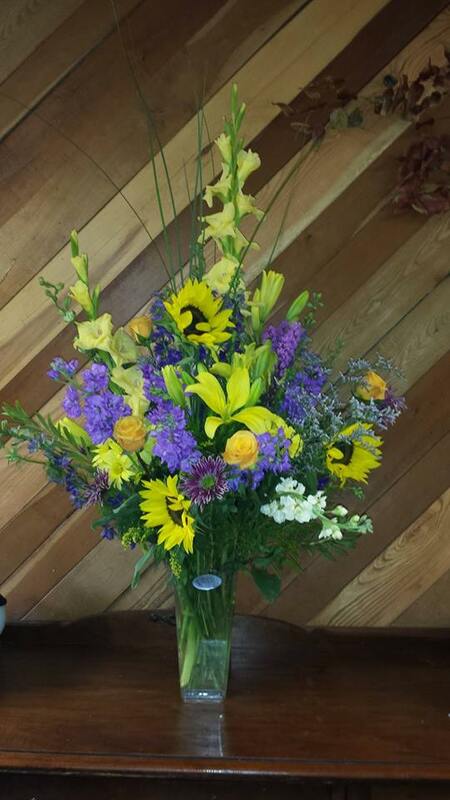 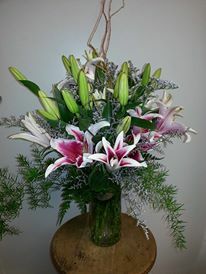 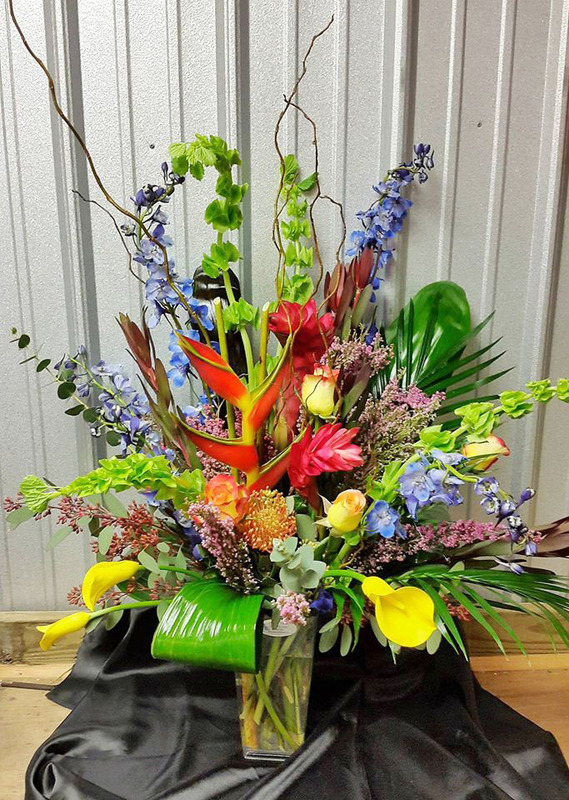 Give us a call and speak to one of our designers that can help you create a one of a kind arrangement for a person that is one of a kind for you. 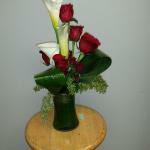 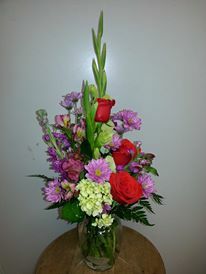 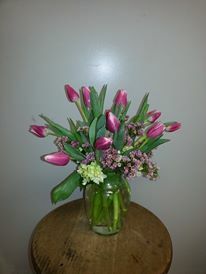 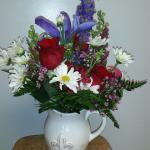 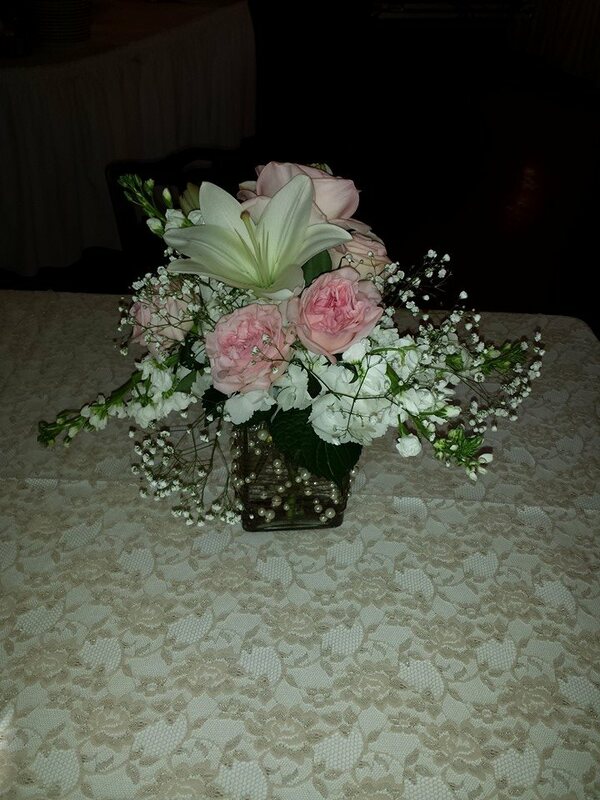 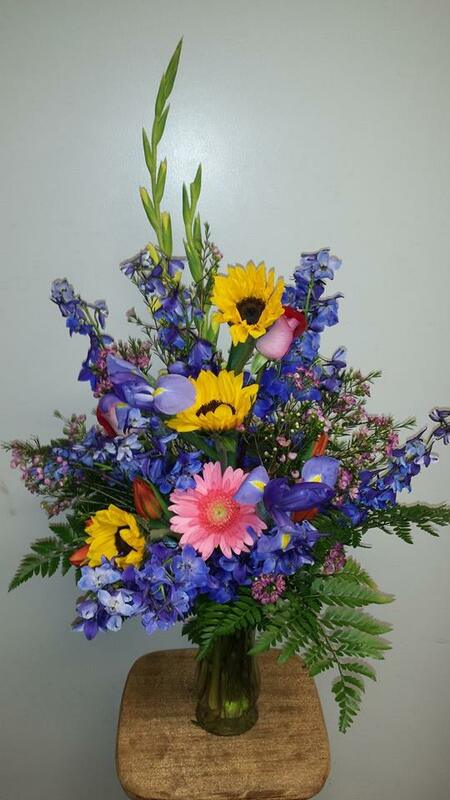 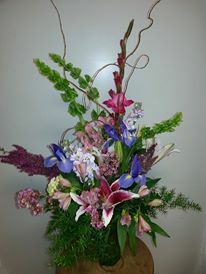 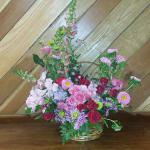 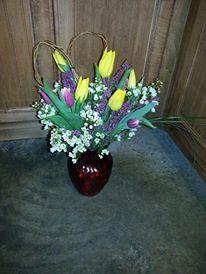 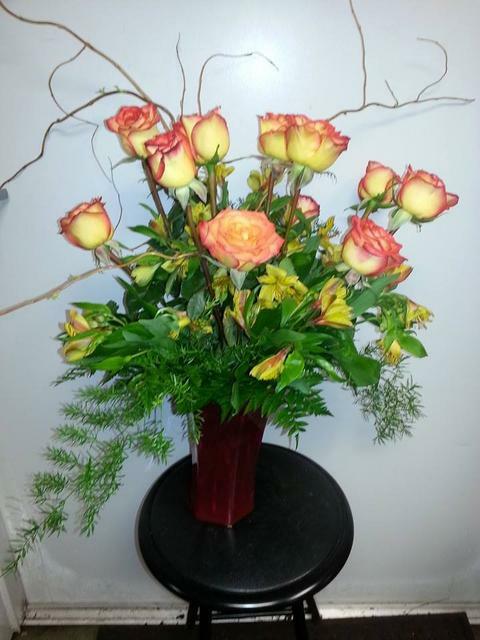 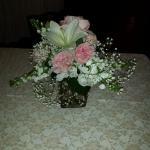 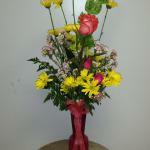 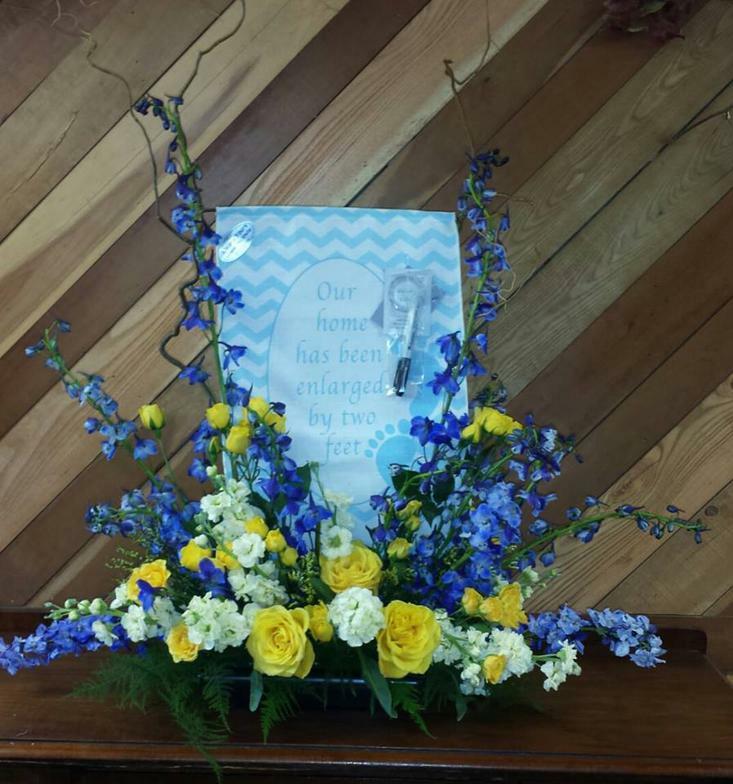 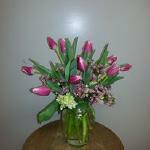 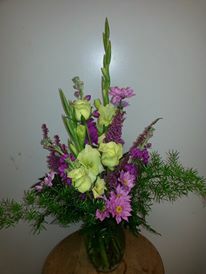 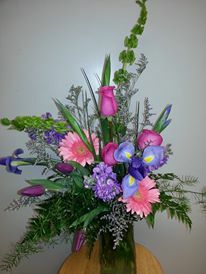 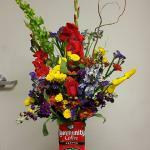 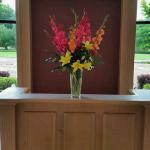 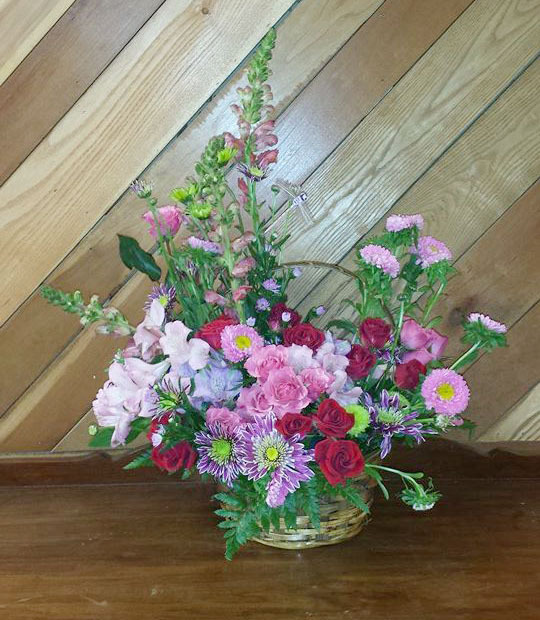 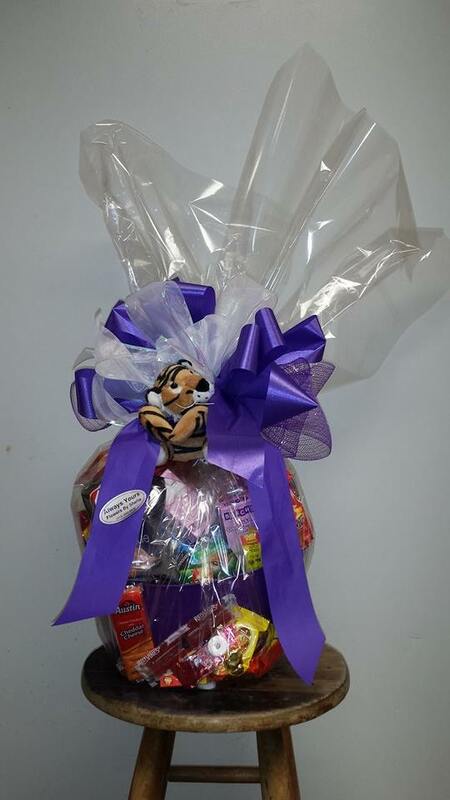 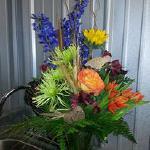 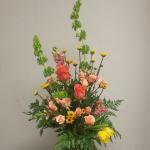 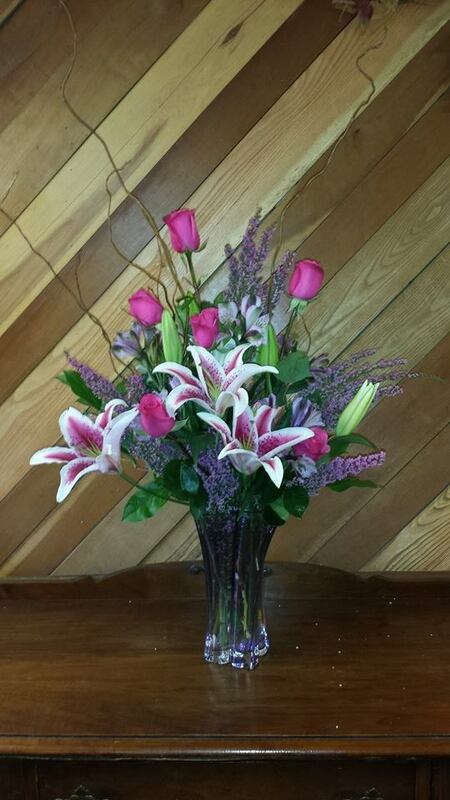 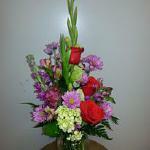 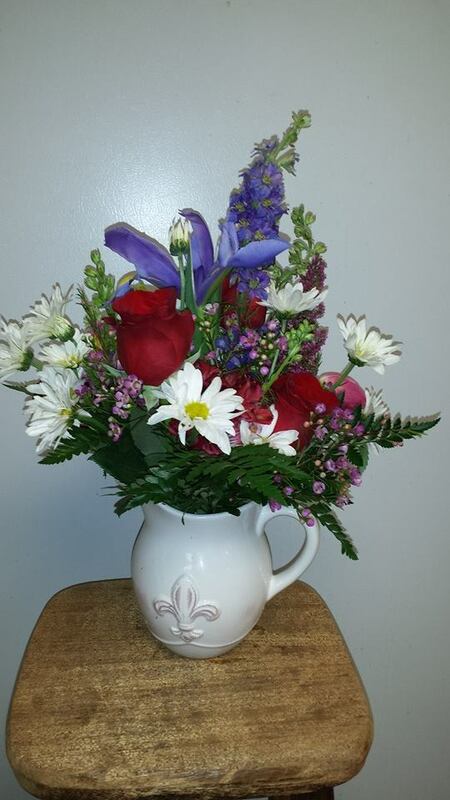 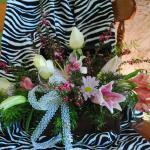 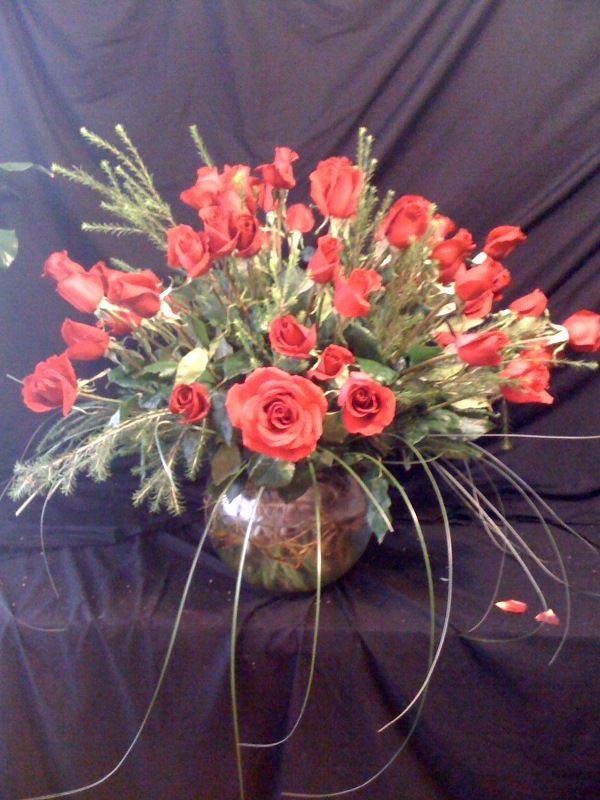 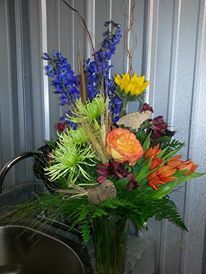 *Vase arrangements and Goodie Baskets start at $35.00.